The Usher Board is comprised of committed doorkeepers in the house of God, standing guard at all times during the worship service. They ensure an orderly worship service by greeting our members & guests with a warm greeting and pleasant smile, as they are directed to a comfortable seat in the service. The ushers strive to remain on one accord both visually and spiritually. Their primary duties are not limited to, but consist of making sure the needs of the pulpit are met prior to the worship service, the church is supplied with envelopes, and serving at funerals and other special events where needed. When our pastor or other clergy are asked to preach at other churches, the usher board accompanies them to serve and support the service. They are respectfully asked to serve at local and state conventions as well. 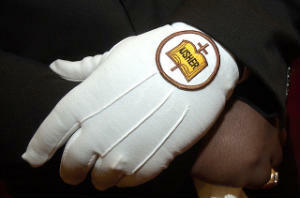 The Usher Board also oversees the Junior Usher Board through training and support in their ministry.